﻿ Best Price on Coco La Palm in Negril + Reviews! Conveniently located in the heart of the popular Seven-Mile Beach area, Coco La Palm offers complimentary Continental breakfast and free Wi-Fi connection in public areas. A large outdoor pool is also available. 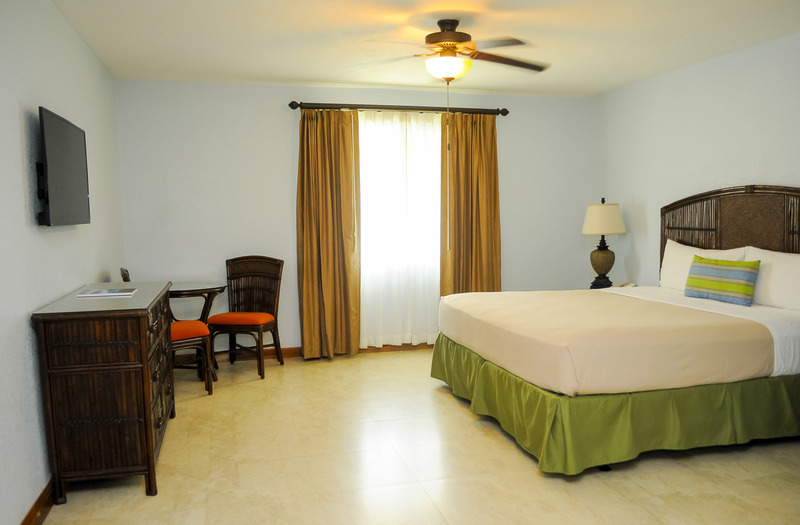 The accommodations at Coco La Palm feature a simple décor and are air conditioned. Cable TV and a telephone line are at hand, plus a coffee maker with premium Jamaican coffee beans is given. The bathroom with shower is private. Coco La Palm has an on-site restaurant located seaside that serves international-style dishes with pork, chicken, seafood, pasta and salads, plus drinks and cocktails. The property also has The Beach Bar and Grill American-style food and drinks. The hotel has a large hot tub, an adult pool where parties may be held, and a family pool amid lush gardens. The property provides beach and pool side umbrellas and has a beach lounge. Negril Airdrome is 3.1 mi away and the main airport Sangsters International Airport Montego Bay (MBJ) is 40 mi away.